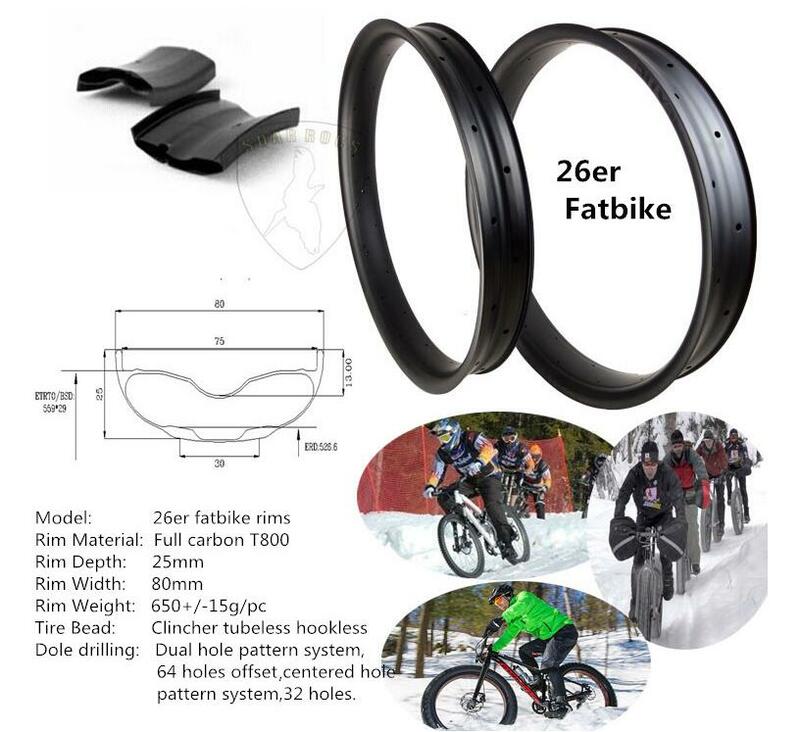 26er carbon fat rim with 80mm width is durable cause its double wall and hookless design, the 80mm wide fat bike wheel is tubeless tire compatible.As 80mm width is very suitable for fat bike and snow bike or beach bike.The small ridges on either side of the drop rim bed helps secure tubeless tires in correct place. 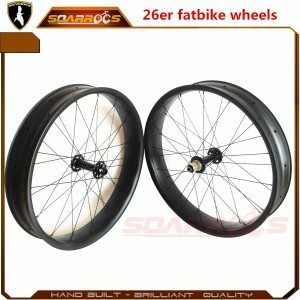 tubeless tires can be sealed up easier via such design.Double wall design can make the fat bike rim better stiffness and easily ride handling. 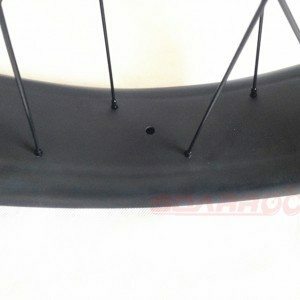 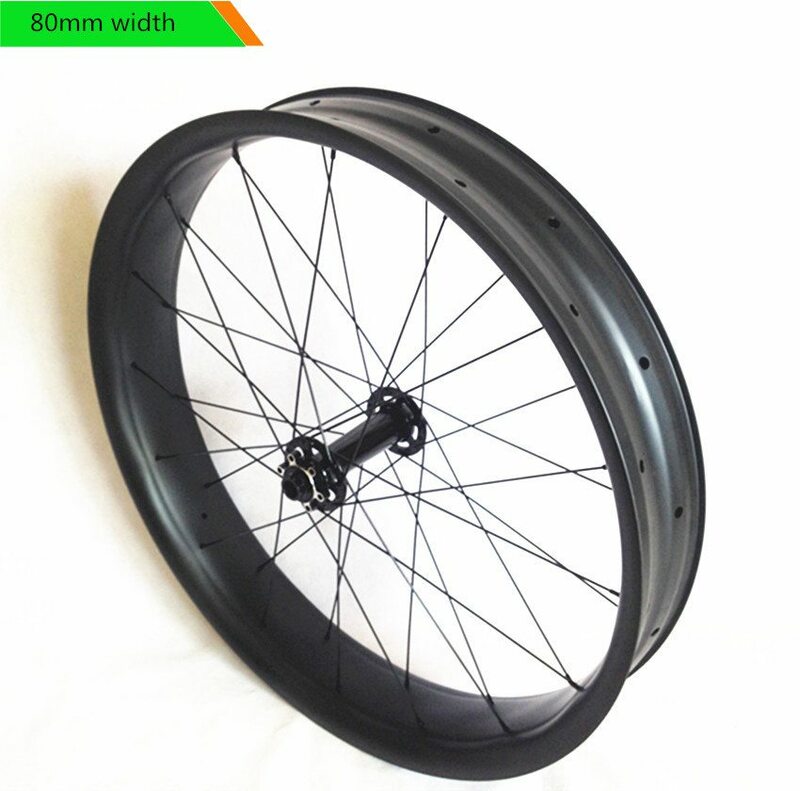 This far bike rim material is full carbon T800, it is more advanced and more strength than traditional T700. 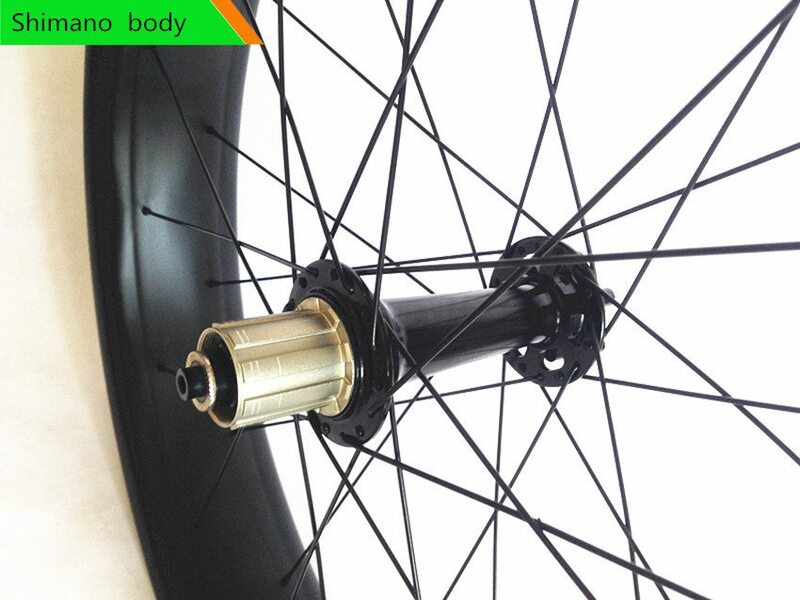 Rims designed for a 3.5- 5 inch 26″tire, SoarRocs 80mm Wheelset built up on Powerway hubs. 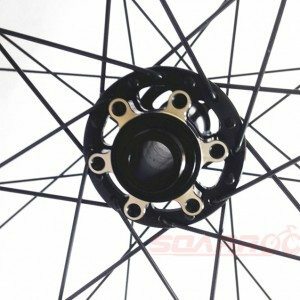 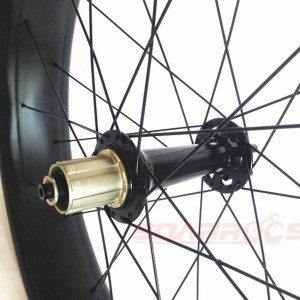 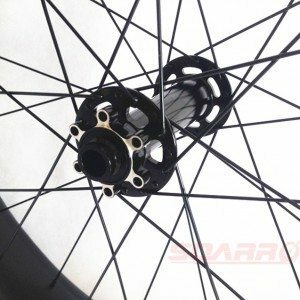 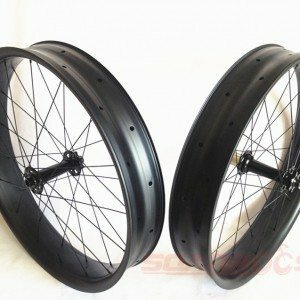 This is a pretty option for those looking for a stiff, durable yet light weight wheelset. Double walled construction and wide rim profile gives you a stiff, durable rim and a nice tire profile. 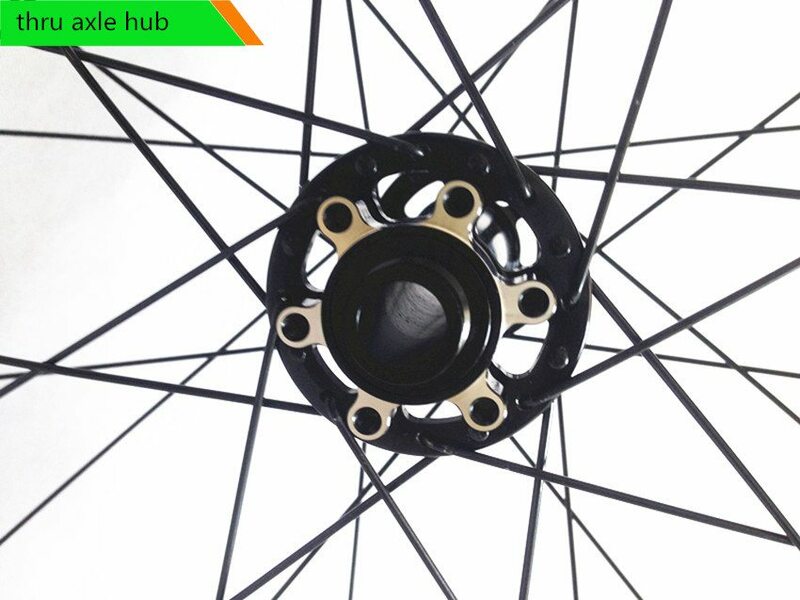 Rims are tubeless ready and include rim tape and valves. 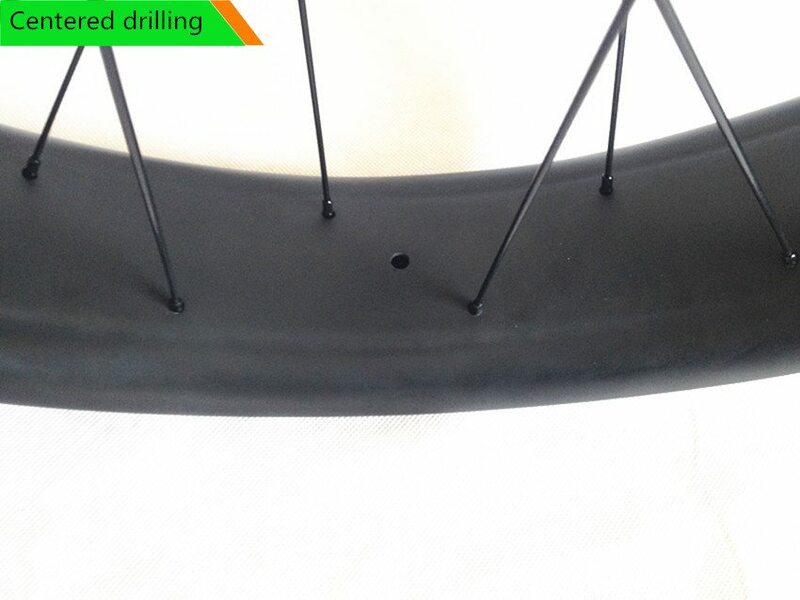 Tubeless ,it mean no tube, it will makes your complete fat bikes much lighter and it will at a low pressure.Regarding the drilling ,we supply dual hole drilling and the centered hole drilling ,they are different lace pattern system,the different picture you can find the it when you order on the order page.